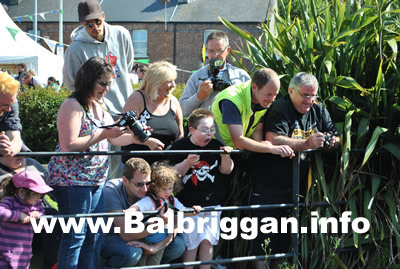 Held under clear blue skies and with mild temperatures it was a picture-perfect day for the Balbriggan Summerfest Annual Duck Derby Hundreds of adults and children were crowding the bridges and the riverside of the Bracken River as over 1,000 ducks were released for their journey down to the sea. 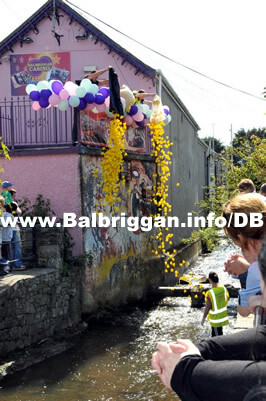 Most had “adopted” one or more of the ducks in the race, each bearing the number that corresponds with the €2 ticket they purchased. 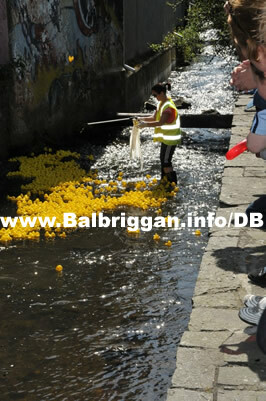 As the ducks were released you could hear the excitement although the ducks decided that a leisurely swim would be more the order of the day so the dedicated group of volunteers helped to move them along! 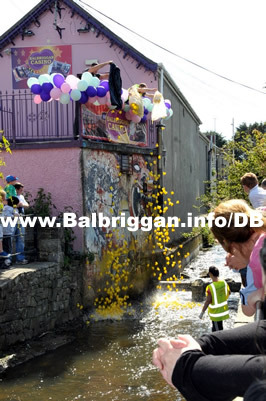 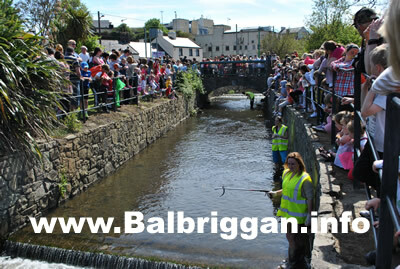 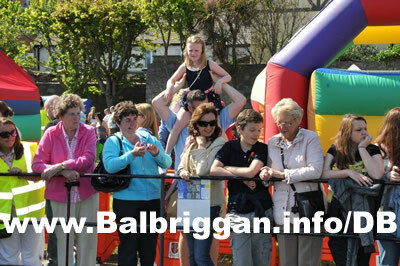 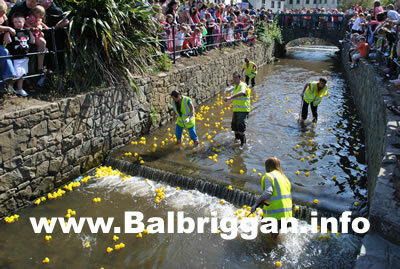 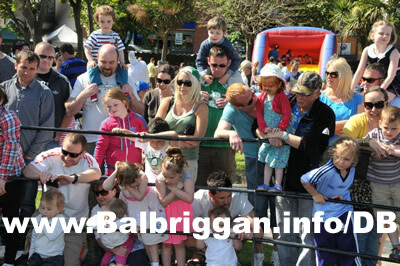 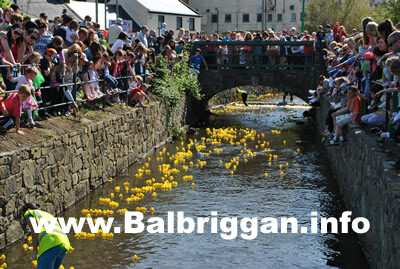 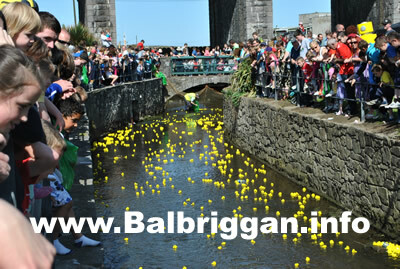 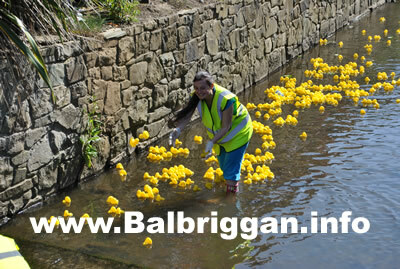 Another great Balbriggan Duck Derby! 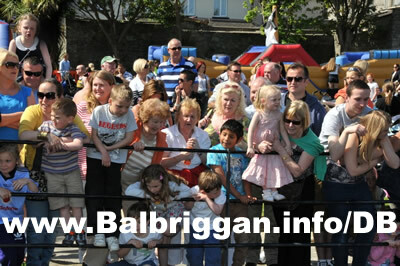 Congratulations to the prize winners, pictured below with Brian Carrick, Manager – Supervalu Balbriggan and Joe Kelly Chairman of Balbriggan Summerfest.